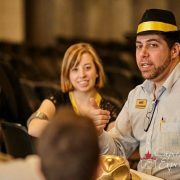 You are here: Home / Ask the Fedora / Ask the Fedora: Networking Skills Can Be Learned, Don’t Worry! This week on Ask the Fedora: Networking Skills Can Be Learned, Don’t Worry! As a new entrepreneur everyone says you have to do networking. But you may be saying to yourself “I hate networking and I don’t like talking to people because everything they say is a sales pitch and I’m going to be sold sold sold”. Well, if you don’t network, you’re not going to have any work. It’s something to learn. 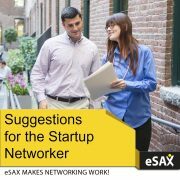 They call it a networking skill; The more you go the better you get. A few years ago when I was just starting-out, I would tell everybody my ‘elevator pitch’….”oh you need me, I’m so great blah blah blah”. I soon realized that maybe this wasn’t the best way to approach things. As a new entrepreneur you have to go through this process and see what works best for you and your company. There are always going to be people who look at you funny, but there are others who will buy-into what you’re doing. Whatever happens, keep going to the events as it’s something you need to do in order to be in business in five years from now. Keep the networking up, and if it doesn’t come naturally, it will. Don’t worry. Take a deep breath. 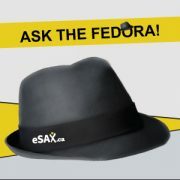 http://esax.ca/wp-content/uploads/2015/04/eSAX-ASK-The-Fedora.jpg 300 300 eSAXnetworking http://esax.ca/wp-content/uploads/2016/11/eSAX-2016-logo-200.png eSAXnetworking2015-09-25 00:07:142015-09-25 00:07:14Ask the Fedora: Networking Skills Can Be Learned, Don’t Worry!